Describe the characteristics of the workers who help the sea turtles. What might happen to the sea turtle populations if there were not rescue and conservancy organizations? List some of the ways that you observed sea turtles being harmed. Many people all around the world recognize the importance of preserving the natural aquatic environments in order to provide a safe haven for the sea turtles. Saving turtles means we have to defend their homes, preserve their ability to move about freely, and ensure their path to successful nesting. Sadly, too many sea turtles are caught in nets or harmed by boats or other human activities. They fall ill when temperatures drop and they have fewer and fewer places to go when humans encroach upon their natural environments. Your class has been invited to visit the local sea turtle hospital and volunteer on a weekly basis. 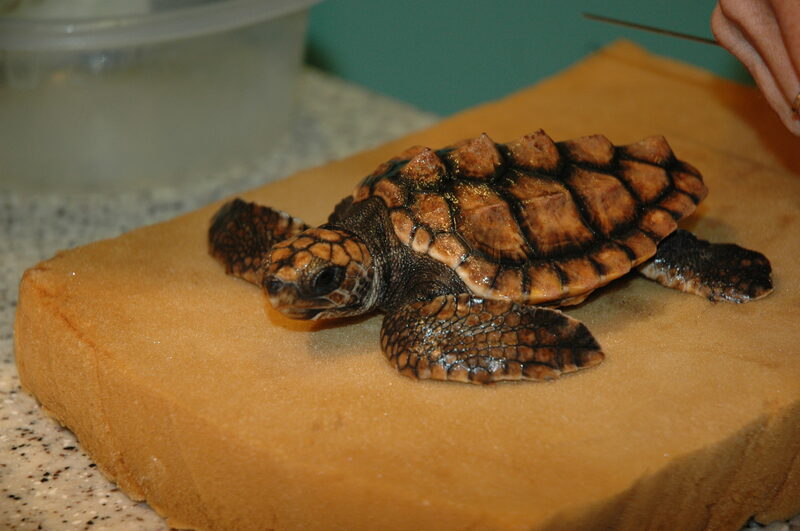 In order to help the injured sea turtles, your class will first learn more detailed facts about these aquatic reptiles. The sea turtle hospitals help to save and restore the health to all species of sea turtles that have fallen ill or have been injured. This is a time-consuming and even expensive project and it is very important that the hospitals are supported by the community. The people who work at the hospitals work hard to rescue and help the sea turtles get back to their healthy state. They are then released back into the wild. The released sea turtles are tracked so that scientists can observe and study the animals in order to learn more about how to help them. 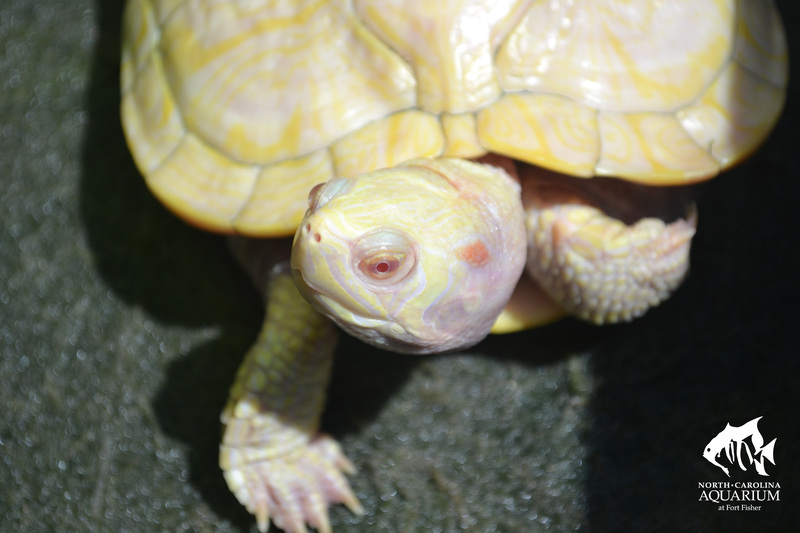 Create a list of questions that you would ask the rescue and medical workers at the turtle hospital. What area of the turtle hospital would you be most interested in working? Why? protein - molecules made from tiny building blocks called amino acids, which are a vital part of all living things. Their main function is to heal wounds, fight infection and build muscle. 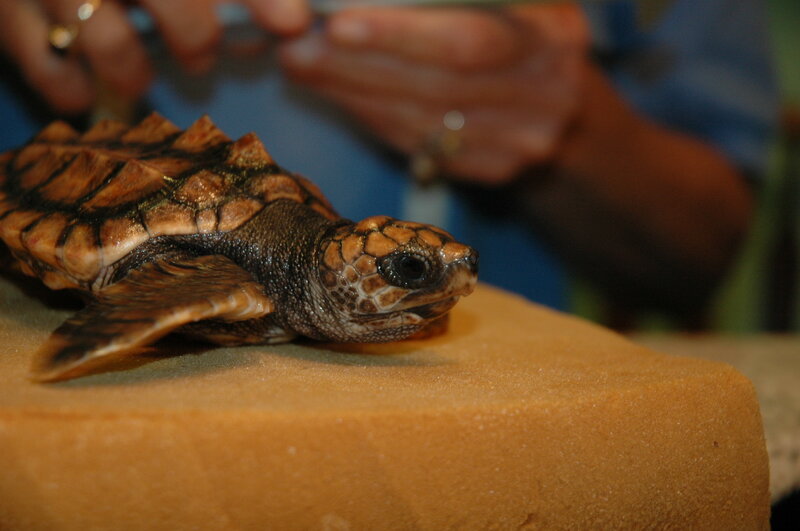 (Math, Technology) Learn about sea turtle growth by following the growth of the Loggerhead sea turtle ambassadors at the North Carolina Aquarium at Fort Fisher. (Science, Engineering) Use the Ask‐Imagine-Plan‐Create‐Improve procedure to design, and build if desired, a method to separate a sea turtle (Shelldon) from the other animals in his large enclosure to ensure he can eat all his food without having to compete with the other animals. 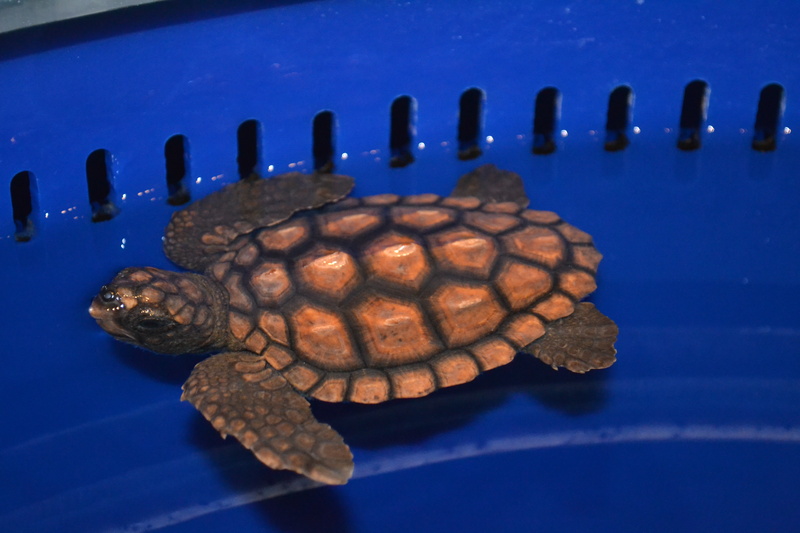 Explore the Sea Turtle Conservancy's link about tracking the turtles. Conduct research on the Internet to find out other ways to track the turtles. Create a list of resources with brief descriptions of each to type and print to share with other students and classes. Choose one of the six species of sea turtles that most interests you. Work alone or with a partner to research more about this type of sea turtle. You can start with the NOAA Fisheries overview: http://www.nmfs.noaa.gov/pr/species/turtles/. Think of a creative visual that will help you to present the information you have learned about this turtle to your class. Create a brochure that could be handed out a marina that helps boaters and people who are fishing learn the ways to ensure the safety of sea turtles and other marine animals. Work with a small group to write and prepare a skit that tells the story of a rescued sea turtle. Create a video of the skit if possible. Present the skit to other classmates and other classrooms. 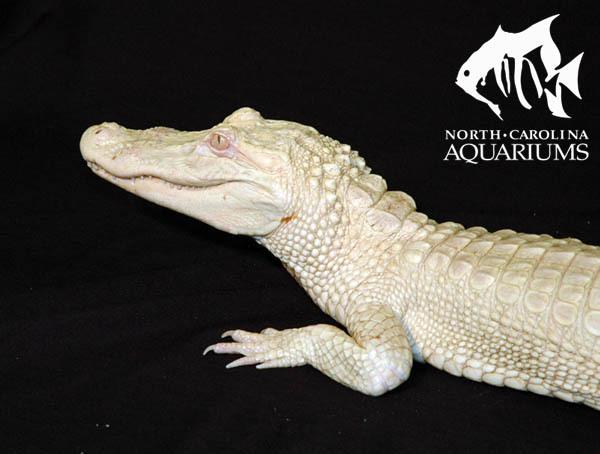 Take a class field trip to an aquarium (such as one of the North Carolina Aquariums), zoo, or sea turtle conservancy, rescue, hospital organization. Arrange to meet with a representative who can talk to the students and perhaps give a tour of the areas that are designated to those ill or injured sea turtles. Before the trip, assign students to work in groups of 2 or 3 to conduct research and prepare a list of questions about a specific aspect regarding sea turtles and sea turtle care. Compile and type the questions and hand out the sheet for students to use as a guide to seek answers when they are at the sea turtle site. Why is it important to keep the tanks clean? Answer: The baby turtles are eating breakfast and it is important that they only get the gel food that the caretakers provide. 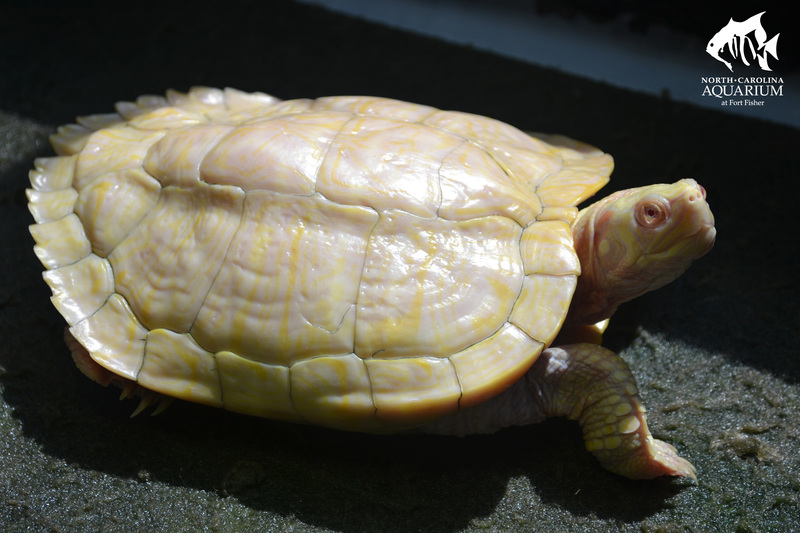 Describe the turtle's actions in the video as he is getting his 'bath'. 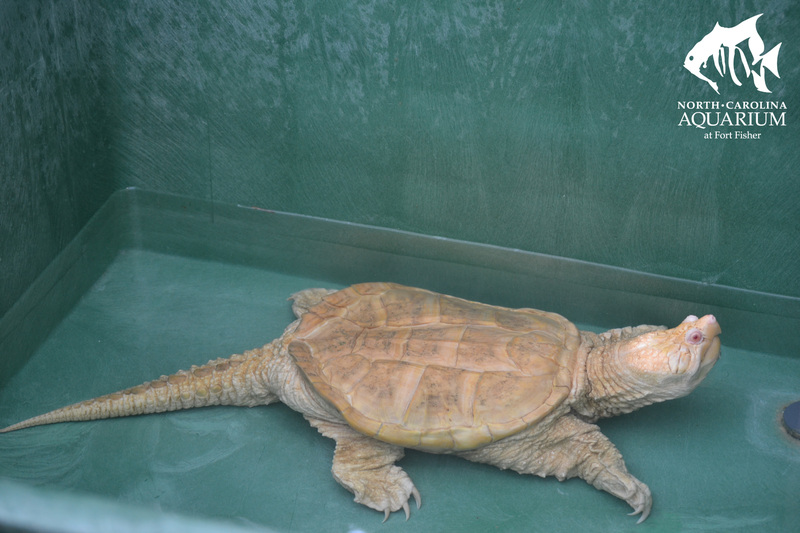 Answer: The turtle is flailing its flippers; it may not be comfortable out of the water being scrubbed by a toothbrush. It is important that the caretakers are gentle and careful. Why do you think gelatin is added to the vegetable gel food? Answer: The gelatin allows the mix to firm up so that they can then cut the food into small cubes that can easily be fed to the turtles. Why is the calcium powder added to the food? Answer: Calcium helps to keep the bones and shell strong. The amount of food each turtle receives is based on what factors? Answer: The turtles' age and weight are important factors when determining the amount of food they receive. The smaller the turtle, the more it needs to eat. 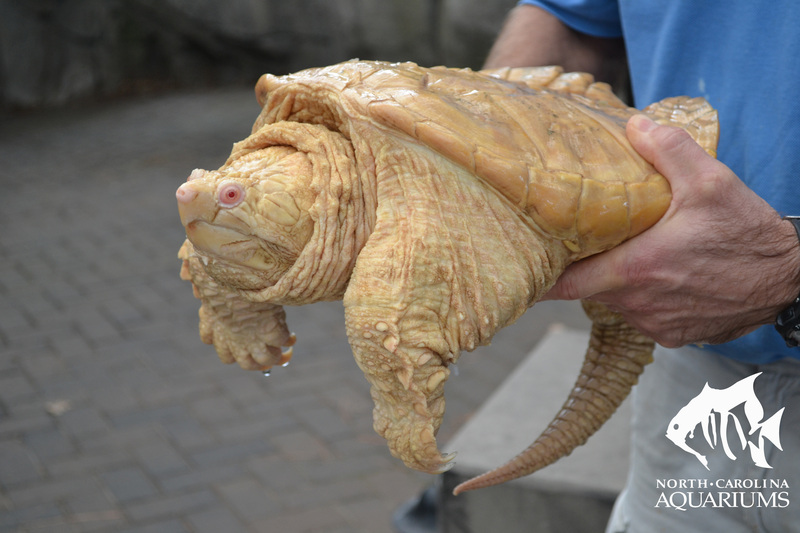 How much food would a turtle that weighs 300g need? What learned behavior does Shelldon exhibit? Answer: Sheldon has learned that when the basket is lowered into the tank, he knows that it is time for lunch and comes in to the basket. Answer: This is the length of the top of the shell including any bumps, notches, and barnacles that are on the shell. What is the difference between the 'curved' and the 'straight' length? Answer: The straight length is calculated using calipers, which discounts and bumps or notches and provides a true linear length. Of course the curved length includes all of those bumps and so is a slightly longer length. What unit of measurement is used to weight the turtles? Besides creating salt water, what else do the aquarium processing systems do to the water? 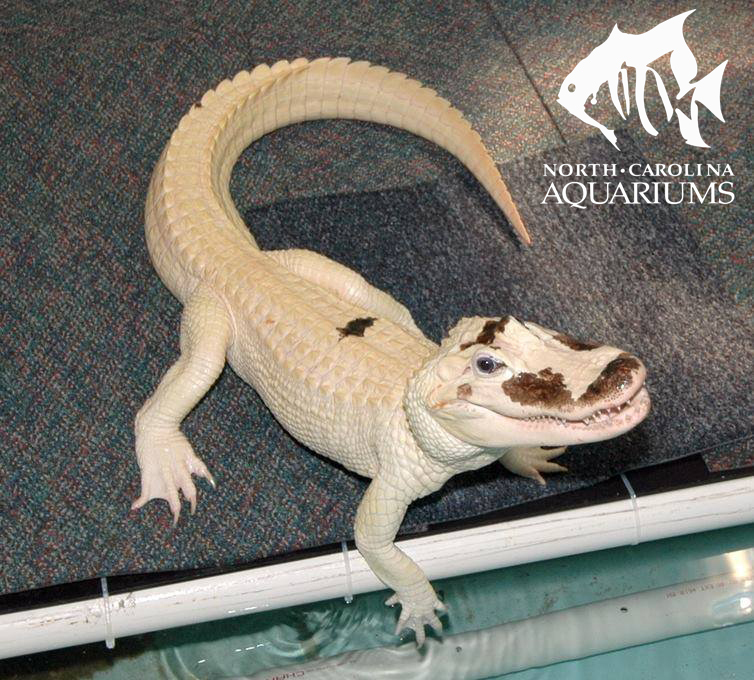 Answer: They are able to remove chlorine and any other impurities that might harm the sea animals. Where does the aquarium get the water that they put into the tanks? Answer: Tap water is used; but it must go through an important process that will remove copper and chlorine and then add the proper balance of sea salt mix. There are 23 turtles in the sick bay in the video. 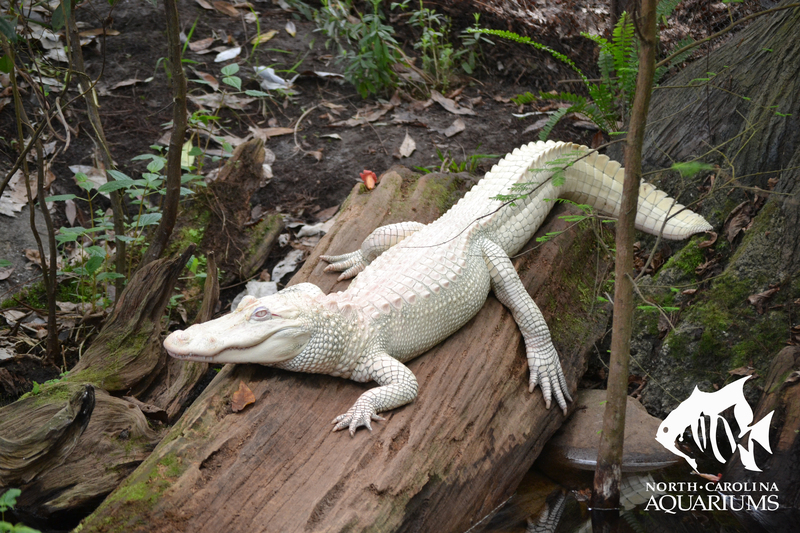 Why is it important to provide medical assistance to these animals? Answer: The turtle hospital gives medical help to those sea turtles that may not have made it on their own in their injured state in the wild. Unfortunately, there seem to be too many sea turtles that have been harmed. Not only is it important for the aquarium to provide a hospital, but the public needs to also be aware of ways to help ensure the safety of the sea turtles in their natural environments. Why is a marina a bad environment for sea turtles? Answer: There is a lot of gasoline and oil in the water around a marina. These chemicals make the turtles sick. Additionally, boats are constantly moving in and out, possibly running over the turtles. 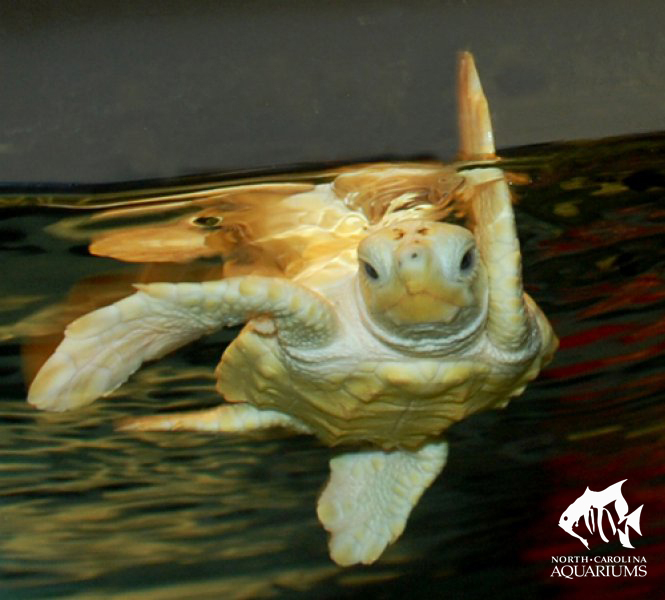 What do sea turtle ambassadors do? Answer: Answers may vary. Sea turtle ambassadors help the public learn about sea turtles and understand the importance of sea turtle conservation. According to the map, most of the six turtles that were tracked, seemed to stay within the same region with the exception of one. Who was different? Why do you think this happened? Answer: Carter traveled up north along the coast of North Carolina, which is odd as one would think that the temperatures would be colder. Scientists have to use clues to help them figure out why sea turtles move and react the way that they do. Perhaps this sea turtle was following a school of fish or what it thought might be food. Answers may vary. Pamlico transmitted the longest number of days. What do you guess happened to Pamlico? Answer: Pamlico appears to have swam south, staying close to the coast, and ended up back on the beach. Hopefully Pamlico was not injured or caught in a net on the beach. What happens to sea turtles at the hospital? Answer: C. strengthen the bones and shell. How can scientists keep track of the released sea turtles? Answer: A. They tag the turtles. 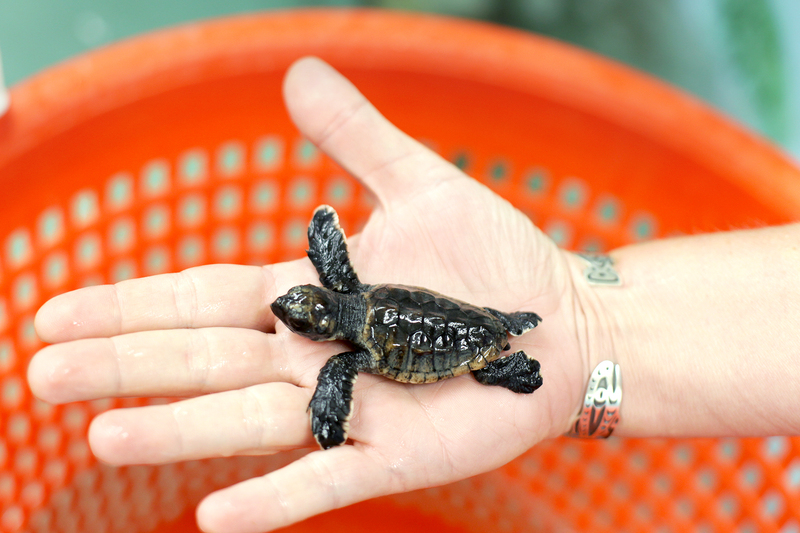 Why might a sea turtle be brought into a hospital? 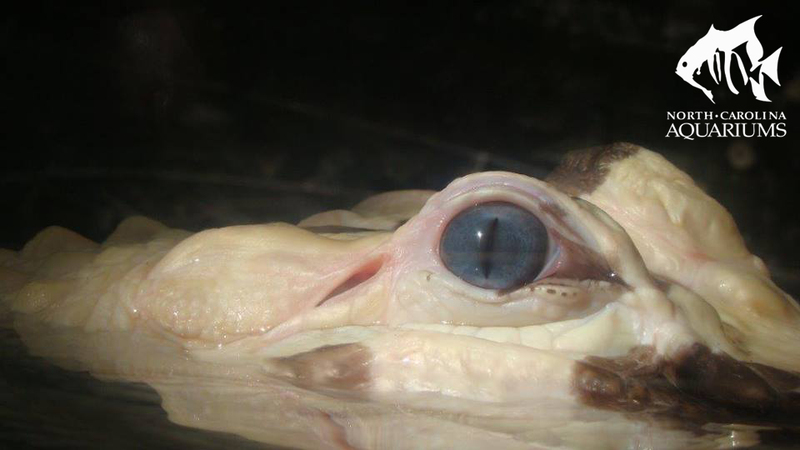 What is the curved length of a turtle? 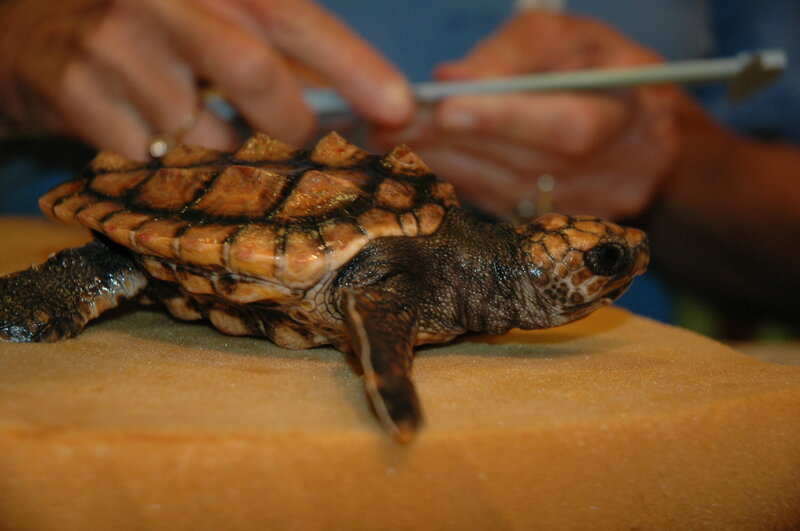 Which of the following may have contributed to a sea turtle's visit to a hospital?